Mobile Dent Repair Over a Body Shop? When it comes to vehicle damage, one of the most common questions Denver car owners ask themselves is, where can I find a trustworthy and economical auto body repair company? Most Denver car owners understand that traditional body shops can be costly and inconvenient at times. With busy lives and hectic schedules, mobile dent repair specialists can come to you, no matter where you are. At Front Range Bumper Solutions, we provide all Denver residents with a quality mobile dent repair services at their convenience, as well as at a fair and affordable rate. At FR Bumper Solutions, we provide every Denver resident with the highest quality mobile dent repair services in Colorado. Our highly skilled technicians are here to take you through every step of our process and ensure your confidence and satisfaction in our repair work. 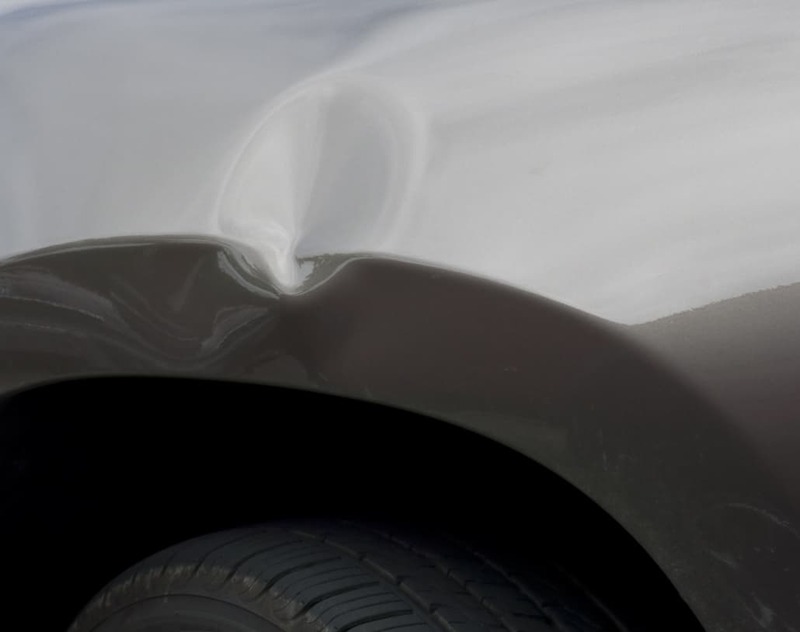 Our mobile auto body repair service covers scrapes, punctures, cracks, and dents on your doors, fenders, or bumpers. Here at Front Range Bumper Solutions, our mobile repair technicians have over 20 years of combined experience and are able to bring auto body repairs to you, no matter where you are. Just give us a time and place of where you want the auto repair done, and we will be there to repair your vehicle. We understand that sometimes you don’t have the time to drop off your car for days at a time at a traditional auto body shop. Having the ability to provide our Denver car owners with a mobile auto repair service allows us to accommodate drivers with all kinds of busy schedules. For the convenience of our Denver car owners, you can give us a call or text, send us an email, or fill out our free estimate form for a free quote. Whether you’re at the office or home, FR Bumper Solutions will meet you wherever you are. In a matter of a couple of hours, your car will be back to original shape and completely damage free! Not only is utilizing mobile auto body repair convenient, but our technicians can also complete repairs at a fraction of the cost of a traditional body shop. At Front Range Bumper Solutions, our efficiency doesn’t hinder our quality. We use the highest quality PPG paints and state-of-the-art tools to transform your car to original and pristine shape. We have a 5-year warranty on all of our mobile repairs, and we are more than happy to fix any mistakes free of charge. Our quality of work is comparative to a traditional auto body shop, but we are able to finish and charge less. We guarantee that you will leave your appointment with a smile! 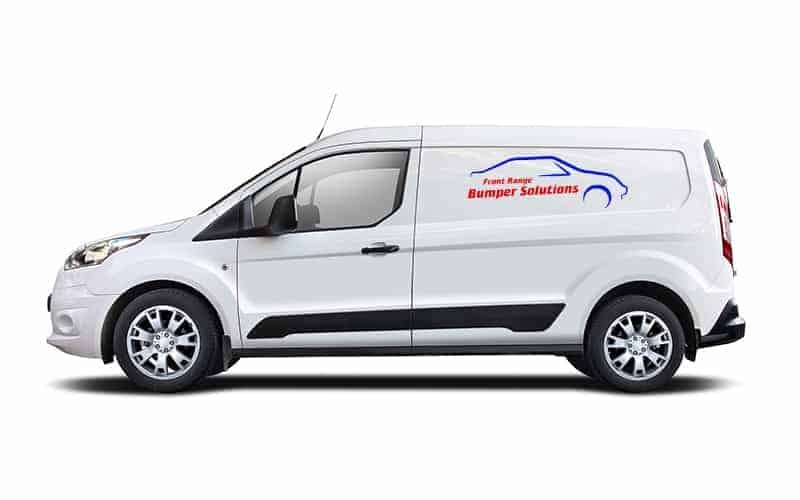 As a mobile auto body shop, Front Range Bumper Solutions is here to make your repair experience as simple and painless as possible. Whether your vehicle has dents, scratches, and scuffs, punctures, or cracks, we ensure our Denver customers are taken care of and are satisfied with our repair work wherever they are. Contact us today for a free estimate at (720) 222-5044! https://www.frbumpersolutions.com/wp-content/uploads/2019/03/iStock-186767950.jpg 1024 1296 idgadvertising https://www.frbumpersolutions.com/wp-content/uploads/2018/09/frbumper-color.png idgadvertising2019-03-14 09:16:432019-04-16 08:47:37Mobile Dent Repair Over a Body Shop? Tips for Hail Season in Colorado Springs Is Mobile Dent Repair Expensive?